Home / Uncategorized / All New X-Men #28. Free Online Comics In Video Format. All New X-Men #28. Free Online Comics In Video Format. Years from now, in an unknown location, the beast is hard at work deciphering how everything went so wrong. Young xavior and raze darkholme approaches and tells Mccoy that they want to fix the past. Beast explains the past cannot be fixed. He had tried everything. Young xavior says, not everything. Free Online Comics: All New X-Men #28 Recap. Years later, the new brotherhood for mutants licks their wounds after a loss to the x-men. Young xavior asks why can’t they beat their nemesis. 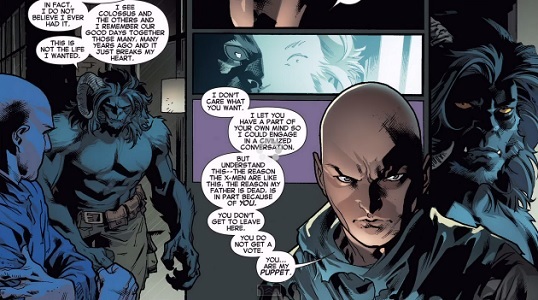 Hank mccoy speaks out about how he hates fighting his fellow teammates. This was never the life he wanted. Xavior telepathically tells everyone to shut up. As a puppet master controlling his puppets, he bends everyone’s will to his own. Maybe even his half brother, raze darkholme. Kid xavior and raze engage in time travel conversation. Raze proposes a bold idea. What if they go back in time and kill the younger version of their x-men. If they fail, then they can warn themselves what they did wrong and rectify that error during their next battle. Kid xavior states that he can save his father from death. Raze states that if the phoenix force killed his father, it will kill him as well. Suddenly, a letter slips through the door and raze picks it up. The letter is from raze himself stating that they actually DO go to the past and were winning except the future x-men came and spoiled their plans. the letter states that their main roadblock is the young jean grey. Take her out and the brotherhood can win. Free Online Comics: Present day, the secret xavior school for higher learning. In the mind scape, xavior has a chat with young jean grey. He tells her how much he hates his fathers x-men. The x-men moved into xaviors house and took his money. They didn’t even keep xaviors name on the school he built. In the hallways, cyclops and emma frost, along with an unconscious jean grey, gets confronted by kid xavior and his brotherhood. Cyclops’s powers erupt uncontrollably. 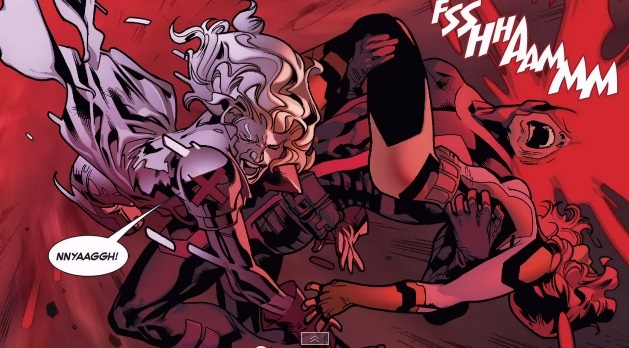 Emma frost attacks but deadpool and Xorn defends their xavior. Unbeknownst to him, x-23 has been fully healed and is about to gut him like a fish! So this issue can be renamed the origins of the brotherhood. We get to see how they were formed and what motivates them. We can also clearly see that kid Xavior is the true leader of this pack of mutants. I really enjoyed the scene when kid Xavior bends everyone’s will and when raze questions if he was manipulated, Xavior states that he would never do that to his brother. Or will he? So we also figure out why the future beast is on the evil side. I really like knowing this. I never bought the fact that beast can ever become a bad guy. But there is one point that makes no sense to me. Xavior explains that he allows McKoy a small bit of his will so the two can engage in an intelligent conversation. Ok that is great, I’ll buy that. But let’s rewind. During the last battle between all the x-men from past present and future against the brotherhood, Xavior is occupied on his own battle and beast goes off monologue about this and that. Obviously old beast did not survive that battle but the fact that he went on stating how evil human kind is, tells me that this old beast is in full control of his conscious. It seems like the writers are trying to fix and ret-con a few things so everything will make sense. But the devil is in the details and they failed on this part. So at the end of battle of the atom, the future jean grey used too much of her powers and she comes unstable. She explodes and shield finds her mask on the ground. Obviously we are lead to believe that she is dead. But this whole time paradox allows future jean and future beast to come back to life. I have read many time travel stories and this one is not one of my favorites. 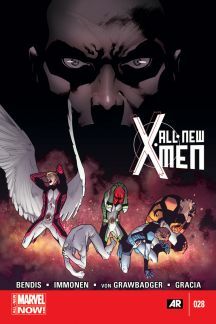 But i do hope that writer micheal Bendis can get the all new x-men issue series back to its greatness because i really enjoyed this series and i do not want it to get canceled. Alright the last thing i wanna point out is, after the battle of the atom ended, the future x-men went home. This young girl named chimera stayed and apparently she is storm’s daughter from the future. She states that her goal in life is to hunt down the brotherhood. This is her task whether it be in her time or in this time. I do hope she makes an appearance soon for consistency’s sake but my expectations are going to be kept quite low. Alright guys, thanks a bunch for checking out my free online comics in video format. For tons more videos on comic reviews, check out comic island on youtube. Copyright © 2014 ComicIsland.Org. This website is not affiliated with the brands or corporations featured. We are not employed or compensated by them to publish content found on this site.